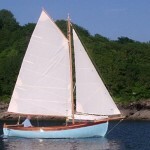 I build, restore, repair and maintain wooden boats here in Fowey, Cornwall. I work mostly with traditional designs: wooden rowing boats, sailing dinghies, keelboats, motor launches, beautiful wooden yachts and dayboats in clinker, carvel or strip planked construction. I also specialise in the production of wooden masts and spars, including booms, bowsprits, gaffs, sprits, and wooden flagpoles to your exact specification. I carry out boat repairs in our Fowey workshop or on site, depending on work required. We also undertake fitting-out work, spring repaints and general maintenance and repairs on Wood and GRP boats, yachts and dinghies. We have done work for many of the top insurance companies. 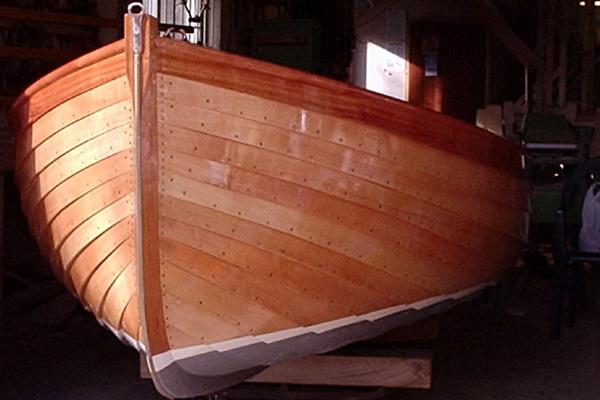 I have built and restored a number of beautiful wooden boats over the years. I also have a great interest in Troy Class yachts and the Fowey River Class dinghies, both of which are raced and sailed in Fowey Harbour. 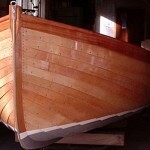 Please check my recent Blog posts for wooden boats being built or wooden boats for sale as well as other workshop news. Thanks for visiting my website. As you navigate around you will find photos and details of these lovely boats – just select your area of interest from the slide menu above. Clicking on any images will bring a larger picture to your screen. If you’d like to read more about my background and wooden boat building career then go to About Marcus. TO GET IN TOUCH, PLEASE EMAIL ME.